The government announced Wednesday it will distribute nearly $1 billion to states and cities to fix communications problems that still plague police and fire departments six years after the Sept. 11 terror attacks. The biggest state recipients are California with $94 million, Texas with $65 million, and New York with $61 million. Commerce Secretary Carlos Gutierrez said the money will answer "the urgent need for firefighters, police, and other first responders to be able to communicate effectively with one another." 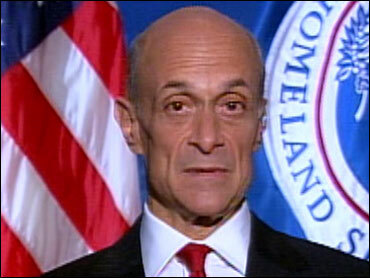 Chertoff acknowledged that the funding decisions would renew controversy over whether security grants are effectively transformed into political pork by congressional interference, the Washington Post reports. But his announcement appeared carefully crafted to tamp down criticism that erupted last year when DHS slashed aid by 40 percent to the two areas hit in the Sept. 11, 2001 attacks, the Post reports.